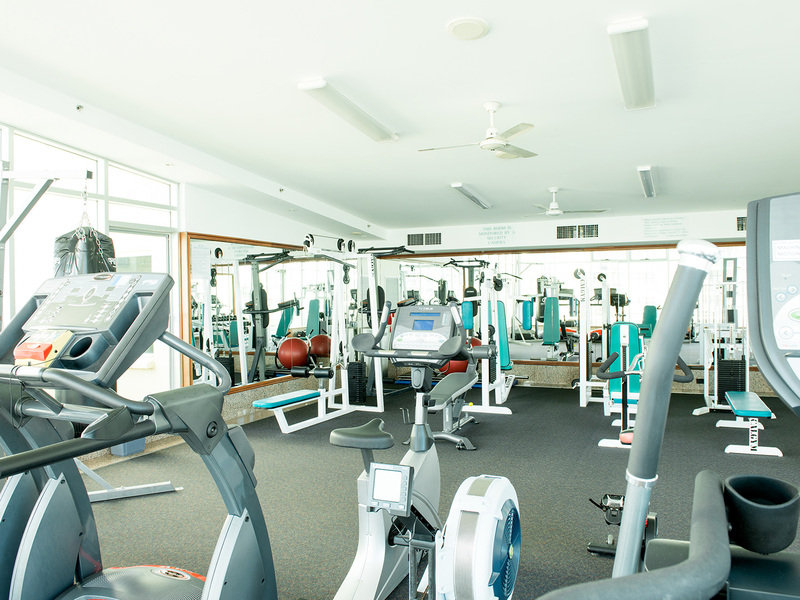 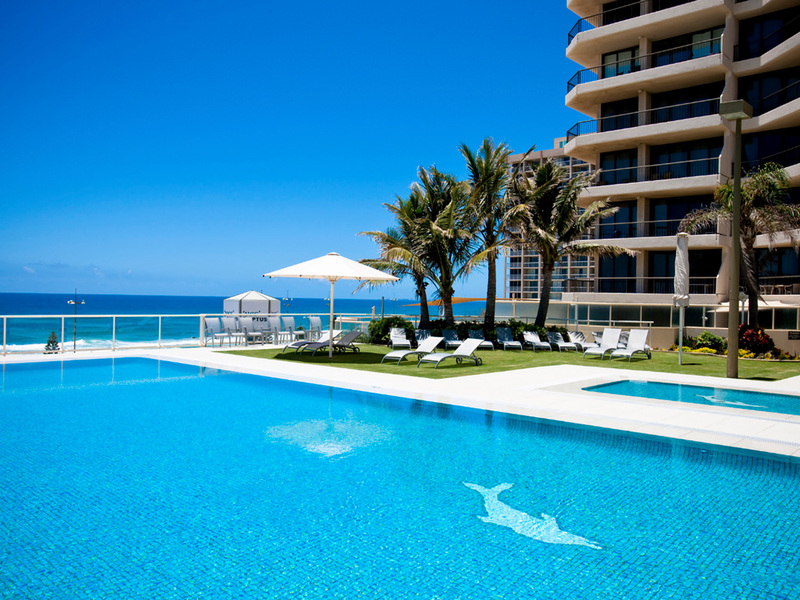 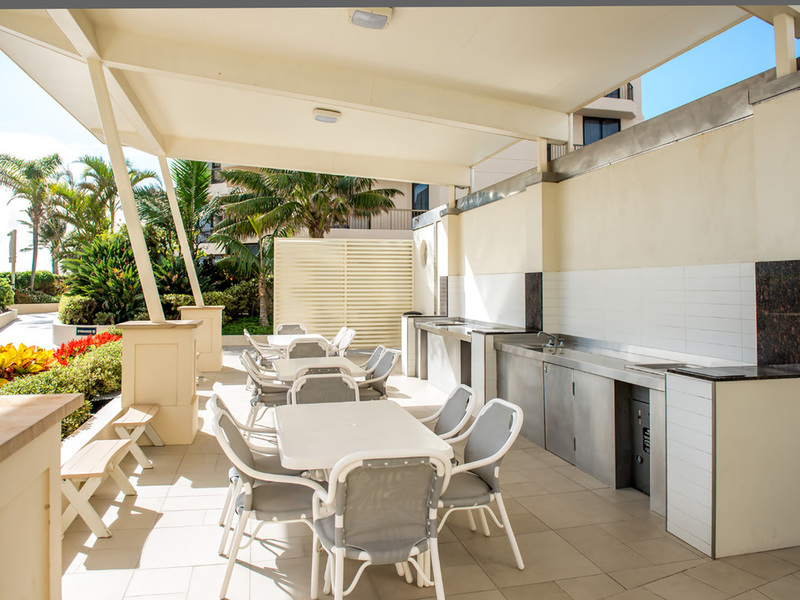 In the heart of Surfers Paradise, just 20 metres from the beach, Paradise Centre provides the perfect location to enjoy all the fast-paced action and attractions of Queensland's Gold Coast. 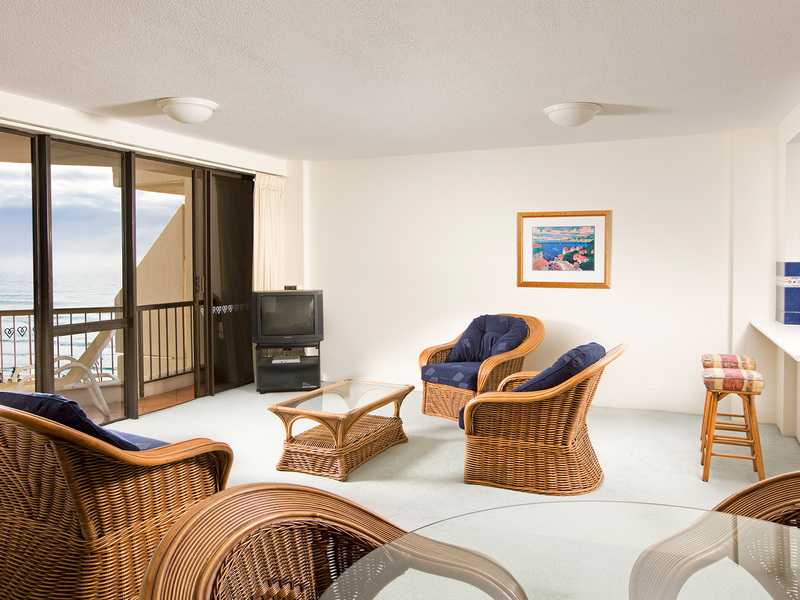 Offering convenience and comfort at an affordable price, the resort is ideal for couples, families and small groups of friends. 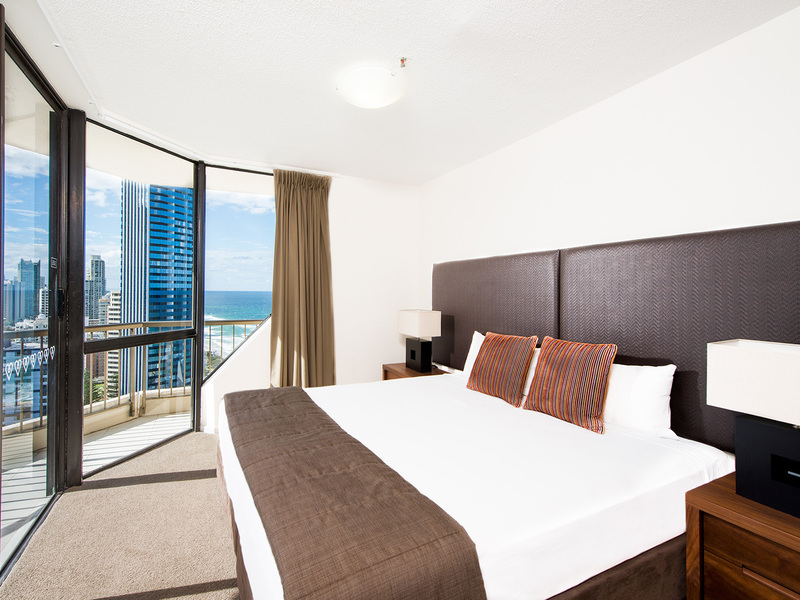 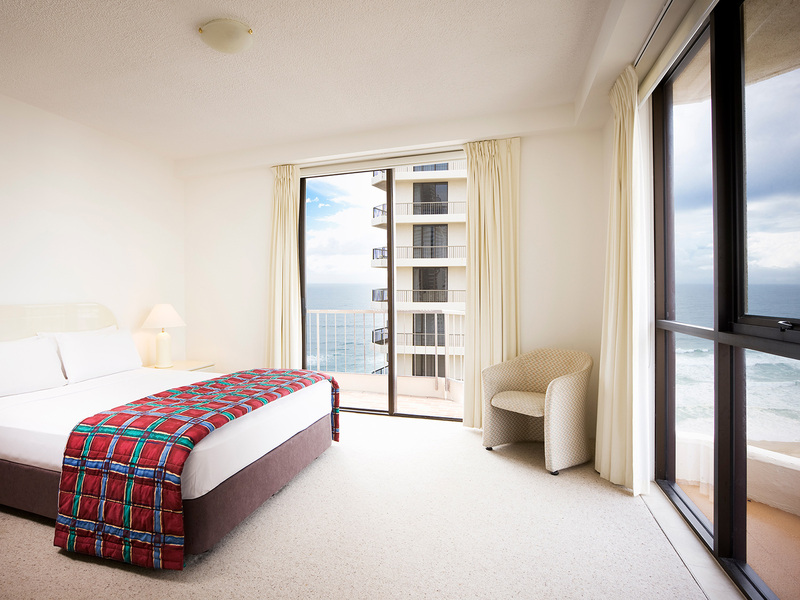 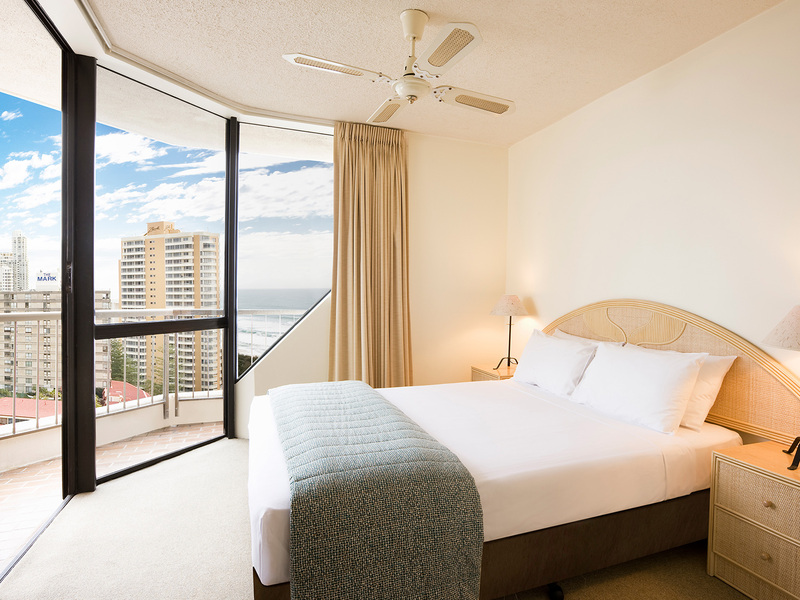 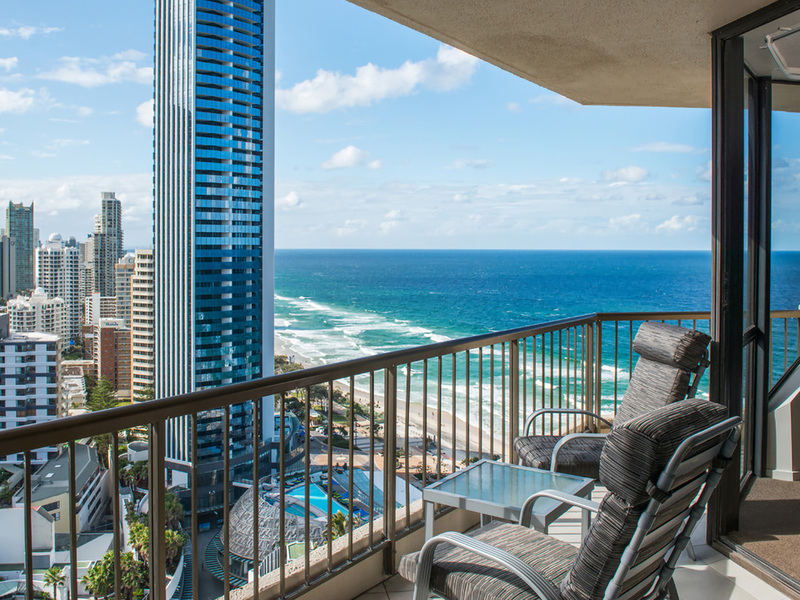 Accommodation is offered in two 30-storey towers overlooking Surfers Paradise Beach, conveniently located above the Shopping Centre. 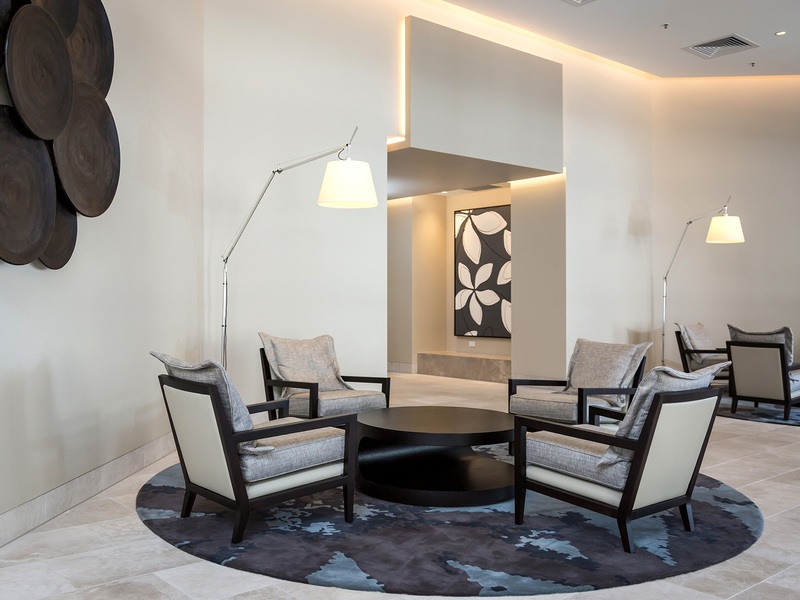 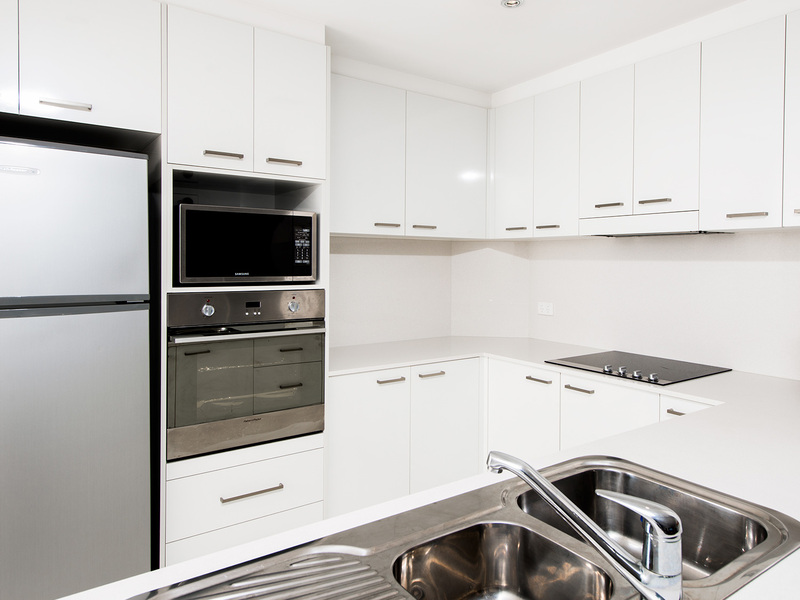 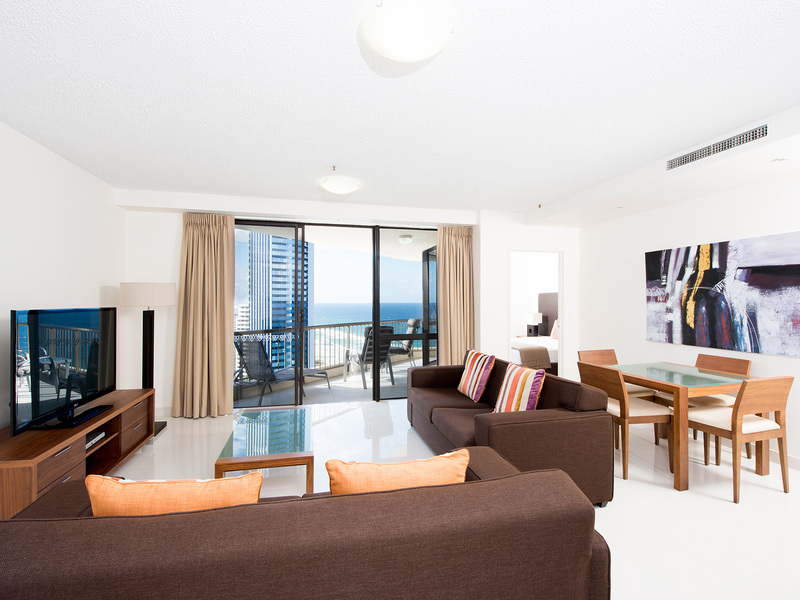 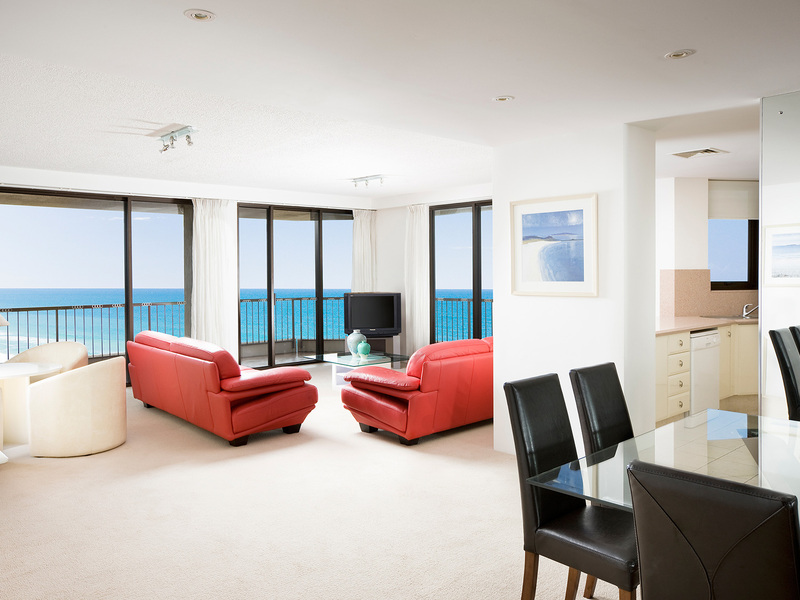 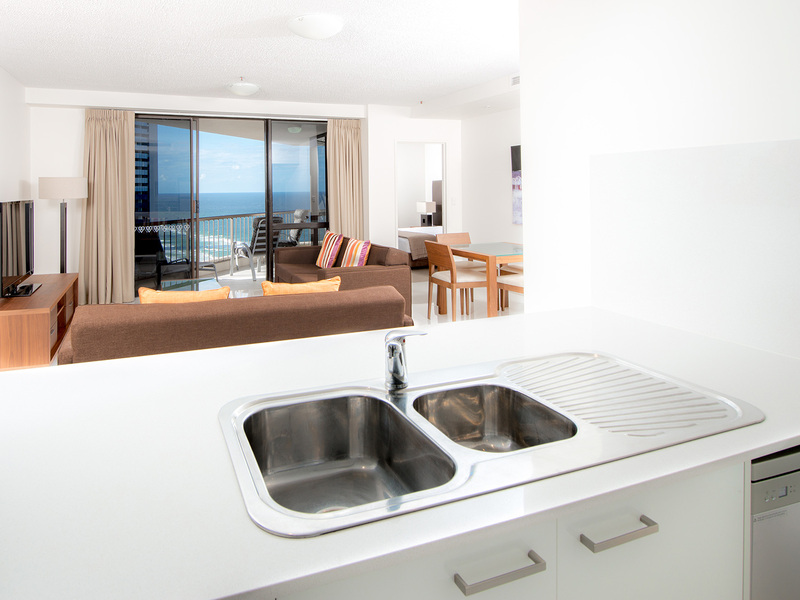 Paradise Centre's spacious, self-contained 1, 2 and 3 bedroom apartments offer fully equipped kitchens, laundry facilities, cable TV and large balconies with sweeping views over the Surfers Paradise Skyline and Pacific Ocean. 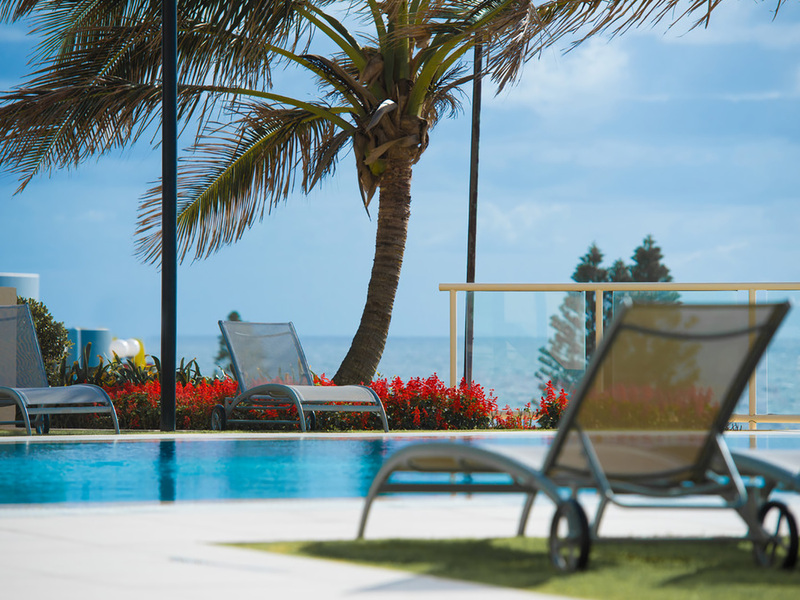 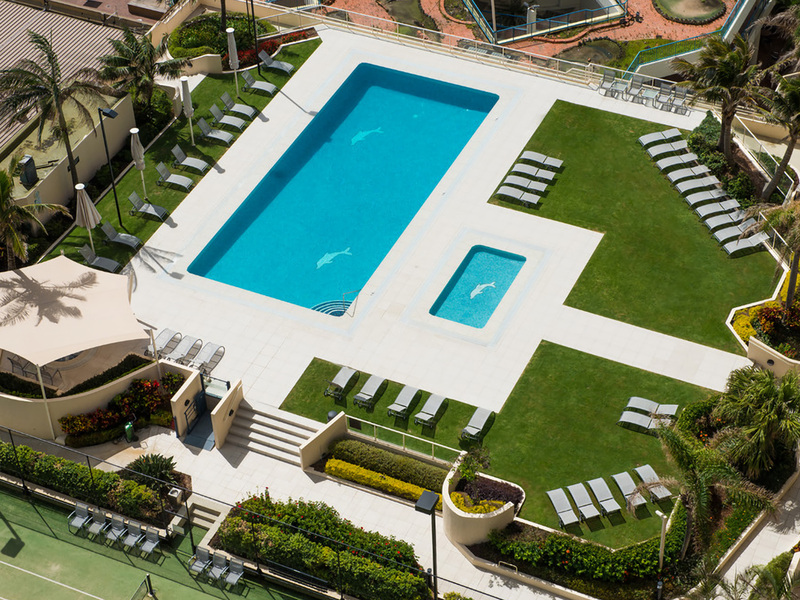 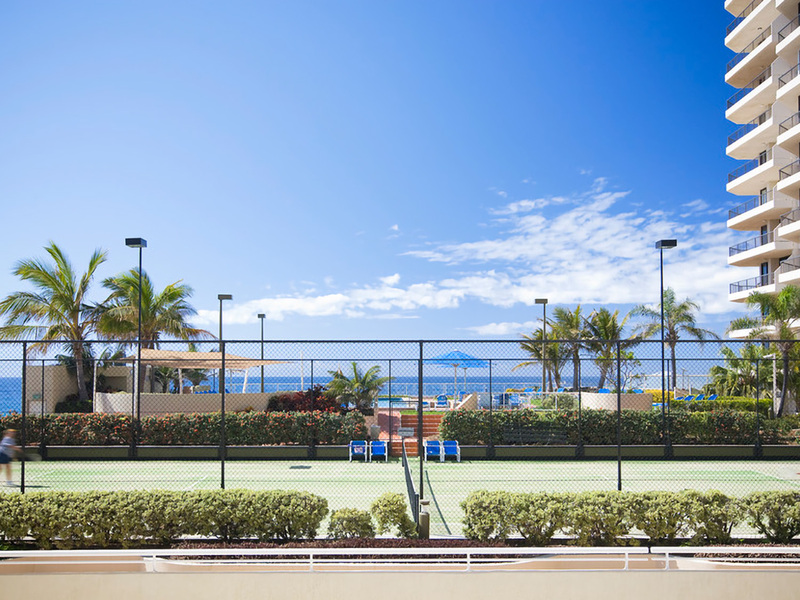 Extensive leisure facilities include two swimming pools, children's wading pools, a sundeck and lawn, spas, sauna, gymnasium and tennis courts. 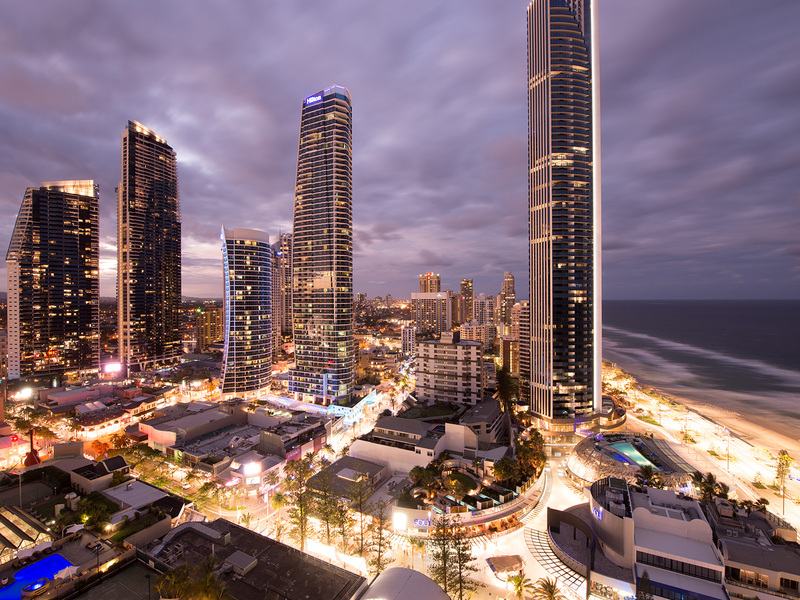 There's also a pedestrian bridge linking the Paradise Centre to the beach, and direct lift access to the shopping centre below with 110 speciality shops, restaurants and entertainment for the kids with Time Zone. 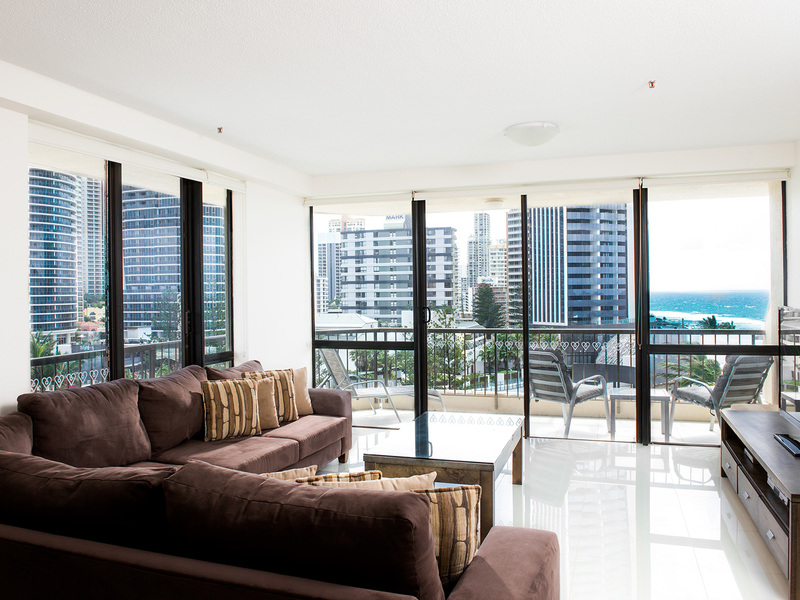 Parking Free car parking for one vehicle per apartment. 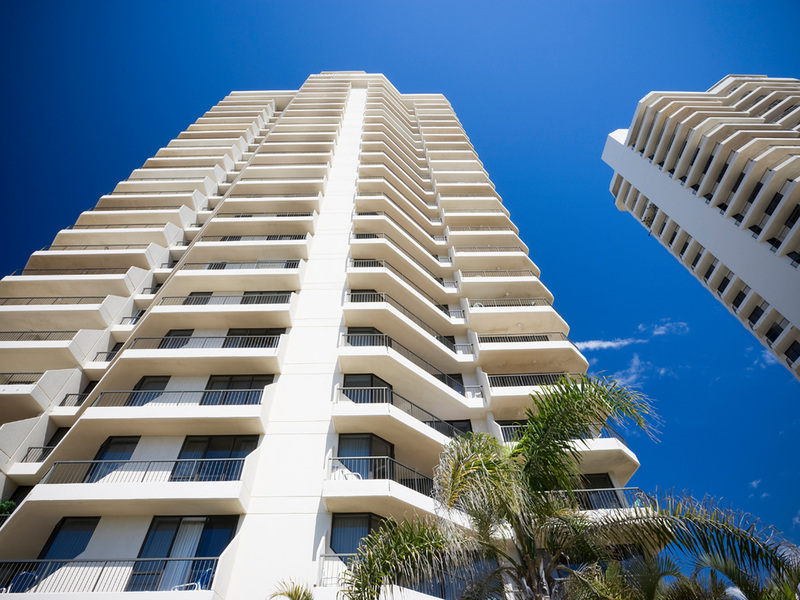 There is a height restriction of 2.0 metres.